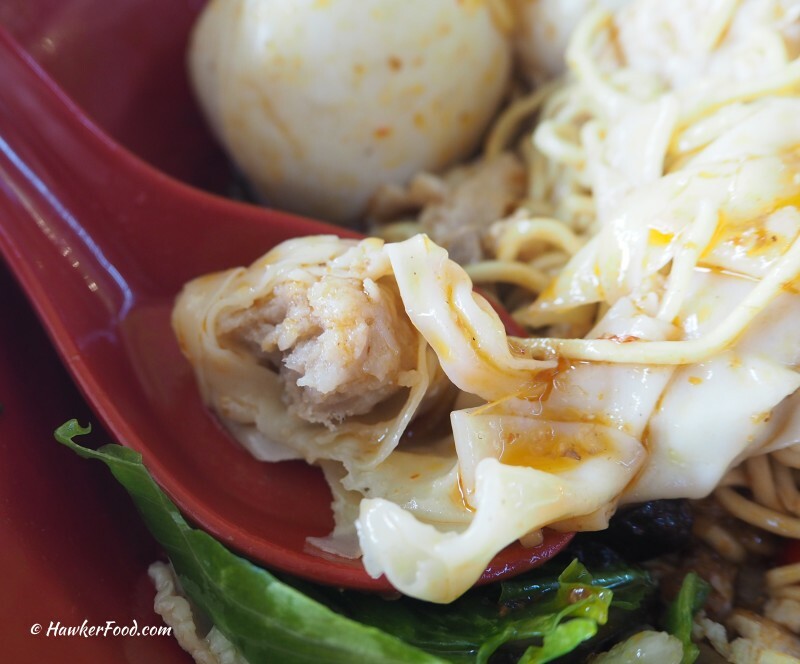 To Lao Beng, Punggol is a very boring hunting place for good hawker food. With that said, there are still gems to be found if you look hard enough. Boat Quay (Original) Mushroom Noodle located in Sumang Link fits the bill of a little gem in a young estate. 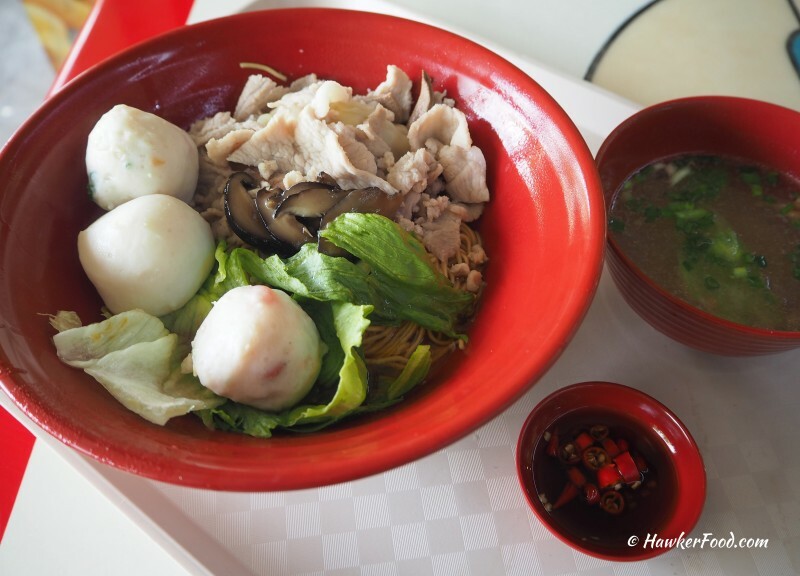 In addition to their standard bak chor mee, they also offer the signature noodle (招牌面) as well as Teochew meatball and dumpling soup. 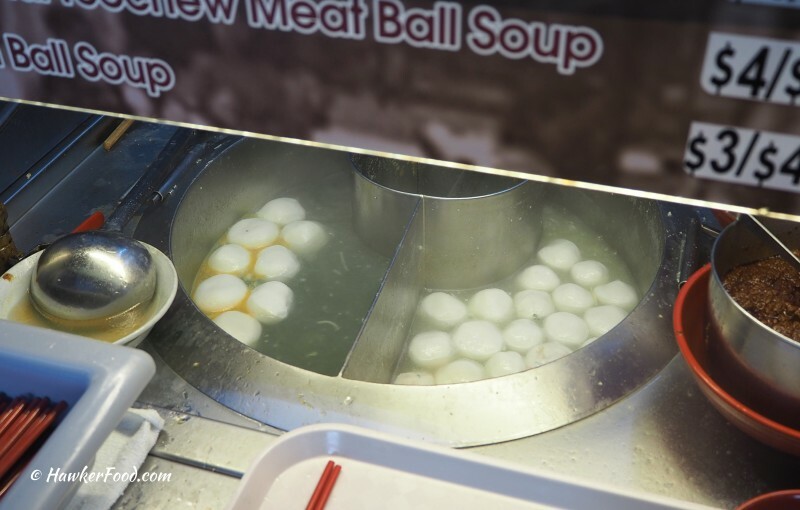 When you are at the front of the queue, you will be greeted by the gigantic balls fish balls bobbing about in the piping hot soup. Signature noodle ($5) was Lao beng’s choice of the day. 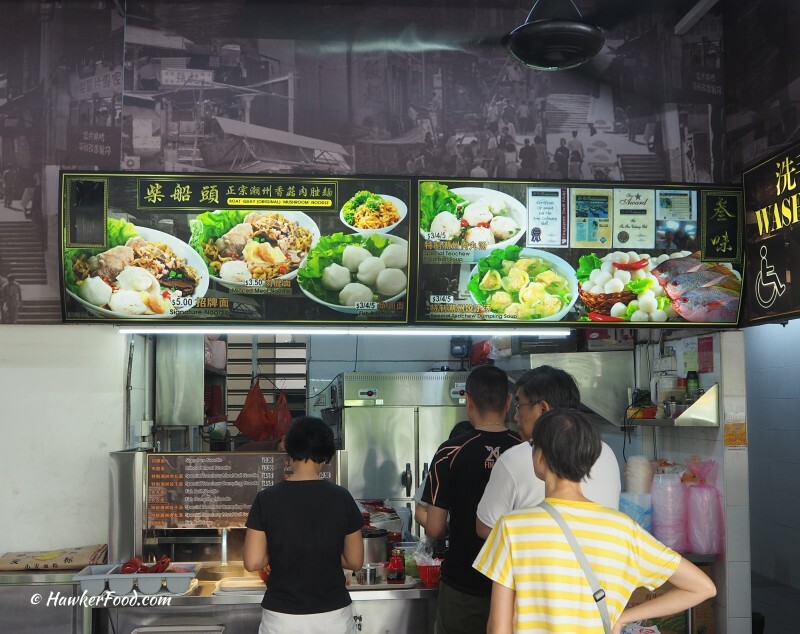 It comprised of two big teochew meatballs, one big fish ball, two special teochew dumpling and one “herh keow” (fish dumpling/fish ravioli). 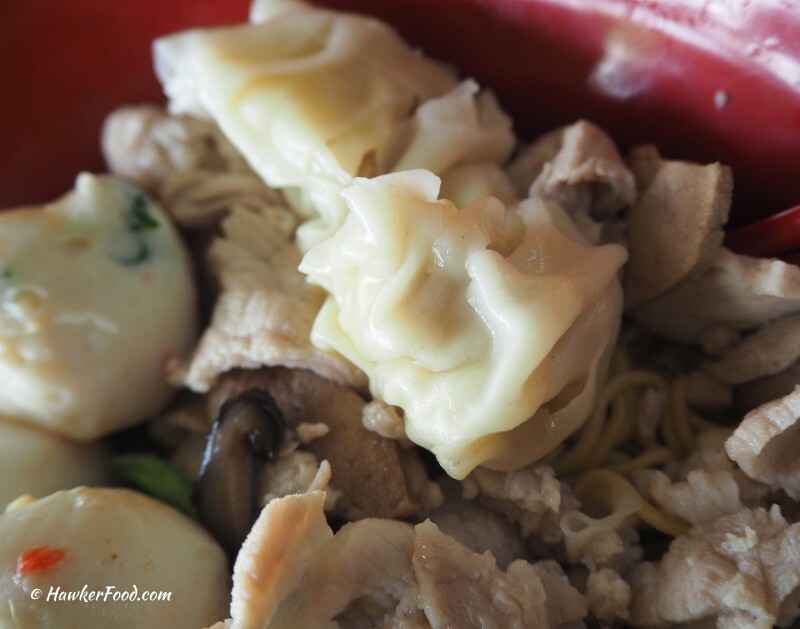 The three usual ‘L’ suspects of liver, lean meat and lard as well as mushrooms form the rest of this piece of bak chor mee jigsaw. 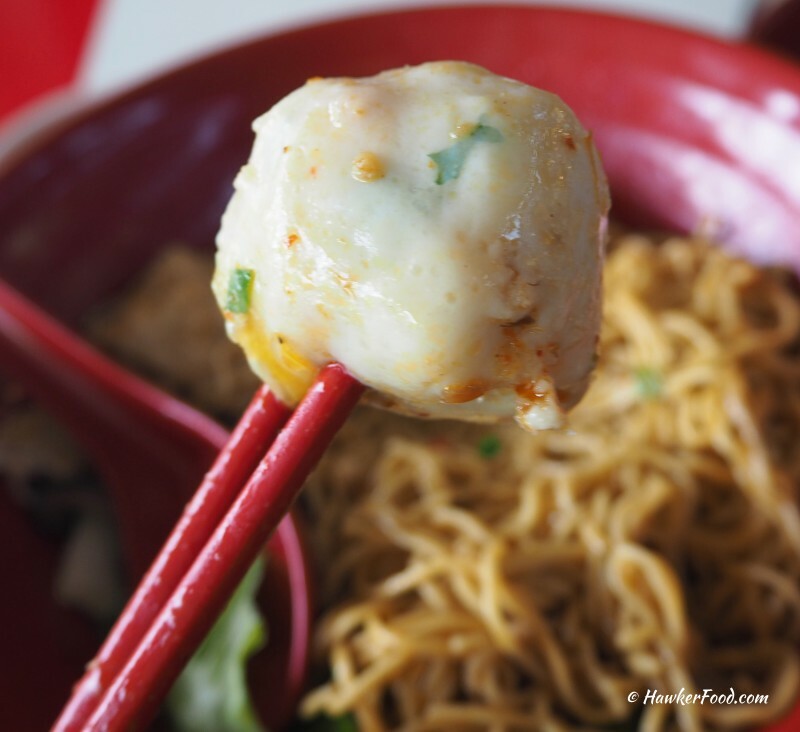 The thing I like most when having teochew bak chor mee is the beautiful teochew meat / vegetable ball (whatever you call it). For the Boat Quay (Original) Mushroom Noodle’s version, it is slightly larger than most other stalls that I have tried. Taste wise, it has a mild hotness and chewy meaty fish flavour. When I first saw the dumplings, I thought they looked rather small….but..
…it was well-packed with meat and kind of filling for such a small dumpling. 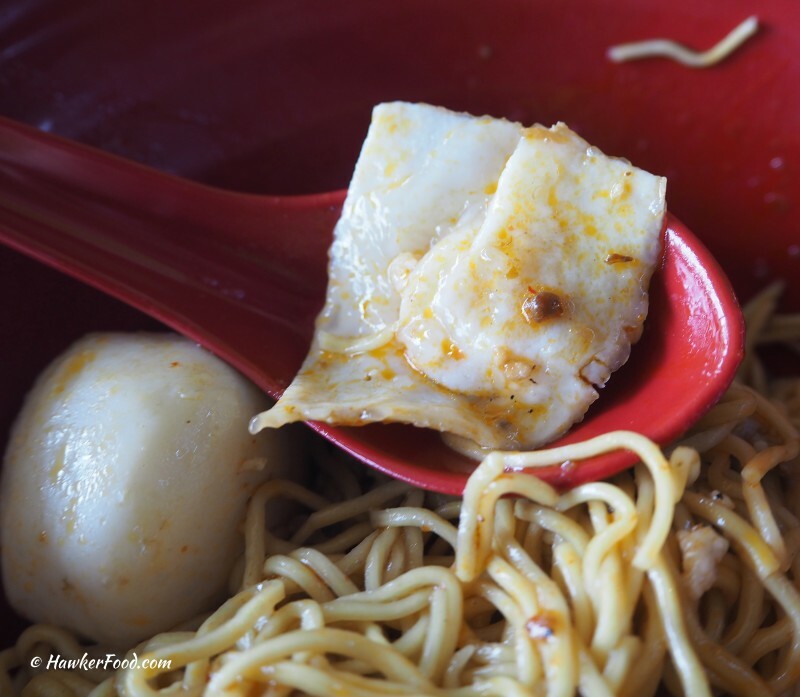 Last but not least the “herh keow” (fish dumpling/fish ravioli), most teochews will simply just call it “keow”. I remember not liking “herh keow” when I was young due to the taste and hard texture. This particular herh keow tasted on the contrary. Soft, yet chewy and succulent. Noodle was pretty tasty as well and as with all bak chor mee, the tangy taste of the sauces mixed with the noodle cemented bak chor mee as one of my most frequent hawker food of choice. Punggol-lians! Fret not! 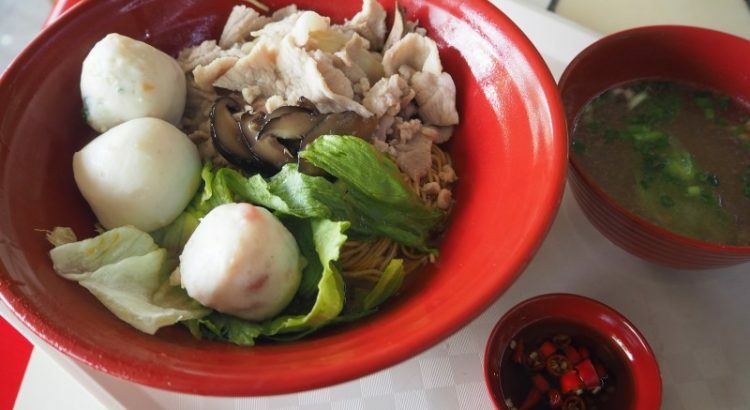 You do have some nice makan gems in your area and Boat Quay (Original) Mushroom Noodle is definitely one not to be missed!